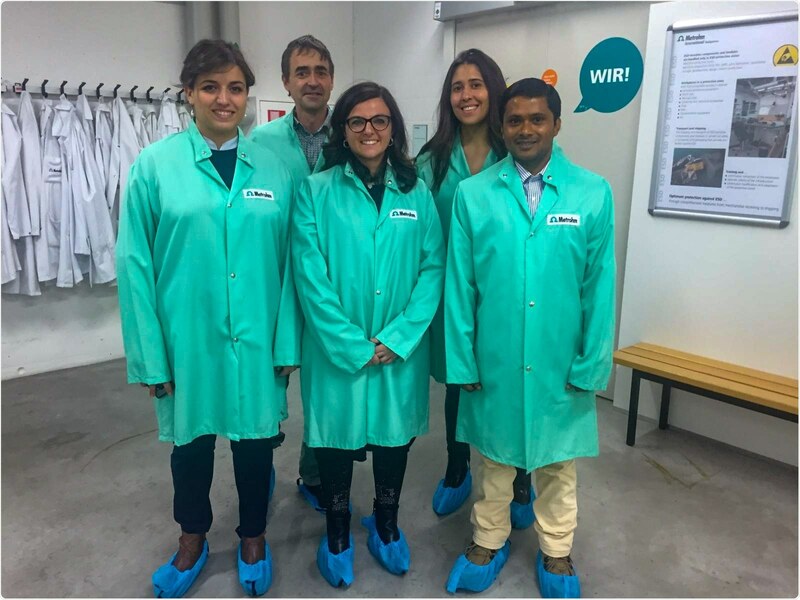 The tour started with a visit to Metrohm International Headquarters on day one, where the three guests presented their award winning research and visited the company. On day two, they went up to the top of 2500 m high Mt. Saentis by cable car, a famous landmark of Eastern Switzerland. Sub-zero temperatures, high winds, and snowfall made this a bit of a challenge. On day three, the young chemists went more than a mile deep under the Alps of the Swiss Canton Uri. There, they visited the Gotthard Base Tunnel, the longest railway tunnel in the world, and learned about the fascinating history behind this project. It was planned and executed with typical Swiss precision and finalized after 17 years not only earlier than planned but also at lower costs than budgeted. Finally, on day four, CERN in Geneva was on the program. The huge dimensions of this facility, the Large Hadron Collider (LHC), which is at the heart of it, and the science behind it are just mind boggling and impressed everyone very much. In between these highlights were scenic train rides, rustic dinners with lots of Swiss cheese («Fondue», «Raclette»), and lots of inspiring conversations.